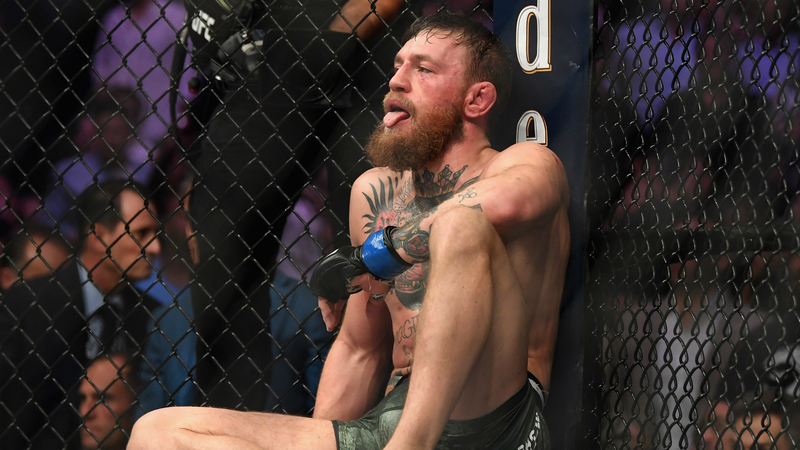 Conor McGregor said a lack of motivation heading into UFC 229 is what led to his loss to Khabib Nurmagomedov in October. Nurmagomedov consigned the Irishman to defeat in the fourth round at the T-Mobile Arena to take his lightweight title in Las Vegas. McGregor said because he had secured multiple UFC titles in the past, his guard was not as high against the Russian. "It's easy to do this once, okay. It's easy for someone to be given something and to just do it one time. You put your absolute all into it. But to do it time after time, year after year, that's when the motivation kind of dips,” McGregor told Mike Pendleton during a Q&A. "That's when the dedication kind of lacks and that's when people creep up. That's what I feel kind of happened here. I didn't give him his respect, I marched forward and got caught with that overhand right. "If I had switched on I would not get caught with that overhand in any form of combat. I am very confident, very eager and very [much] in shape." McGregor did not think Nurmagomedov would have his wits about him and was surprised at how the loss went down. "I've got to respect that. He's a formidable opponent. He's wrestled bears as a kid, put a lot of time in his standup. He was a lot sharper than I anticipated he was going to be, so I have to respect that. It was his big moment.” McGregor said. McGregor said a rematch must happen because UFC 229 ended with ugly scenes that resulted in both men being suspended by the UFC. “If there is dispute, there must be a rematch. There was a dispute in my last one. I slapped his brother and his cousin around at the top of the cage. This is not over. So there is dispute and there has got to be rematch," McGregor said. While McGregor hopes to return in July, Nurmagomedov has said he will not fight in Las Vegas again and does not plan to fight until November.